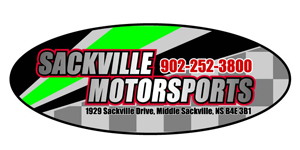 #Sackville Motorsports Is Set To Ride Again! | Sack-Vegas!!!! #Sackville Motorsports Is Set To Ride Again! Hey motorcycle fans! I’ve heard rumours that Sackville Motorsports is opening back up. There’s been some renovation activity in the building next door to their previous shop at 1929 Sackville Drive – I’ll update you when I get the opening date! Posted by Sacky on July 30, 2014 in Welcome To Sackville!.